Remember the last time you received a direct snail mail insurance offer from one of the big companies? Think State Farm, Geico, Aflac, or maybe you got a letter from another one. What goes through your mind when you see their branding? Well, before you see the offer, you see the logo. So you immediately have a certain level of trust, and are at least a little willing to learn more. That’s where you have to make a decision based on your circumstances. But the whole reason they got you reading that far is they established trust with you based on your recognition of their logo. Now what happens when another company you’ve never heard of has an “incredible, limited-time” offer, but a logo you only faintly remember? You’re much more likely to toss the mail in the garbage. The exact same process happens with websites. 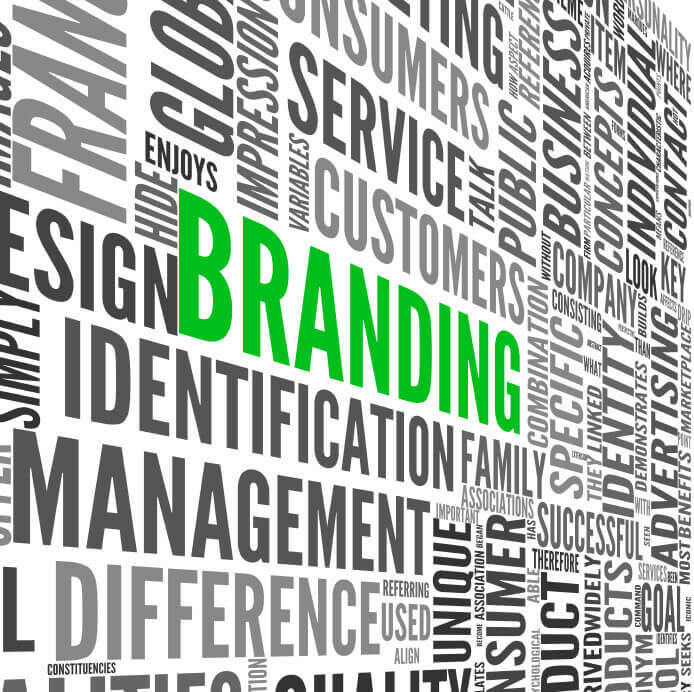 When used right, branding adds a ton of credibility in your visitor’s eyes. Instead of moving on to another company, they stick around to find out what yours is all about. Thanks to website branding, you can be a business of a single person, but appear to be a global corporation. 1) Get a logo – It’s easy and inexpensive for a graphic designer to make (a few hundred dollars or so). 2) Messaging – Your customers have wants and needs. You should have 3-5 key messages you tell them that cover those needs. 3) Establish a brand voice – What type of language do your customers use and respond to? Are you B2B? Then you must have a lot of facts to support what you say. If your focus is a large volume of sales and special deals? Then you have to be exciting and emotional to get consumers buying now. 4) What’s your tagline? – The more specific, the better. It should reflect the biggest benefit your customers want. That’s a nice tagline in an industry where people are very skeptical of what the professionals say. If you’re a small company, it’s easy to quickly have all the moving parts become disjointed. You can have a website, blog, 3-5 social media profiles, PPC ads, brochures, fliers, radio and television ads – and a whole heck of a lot more. Whatever you do, you should have consistent brand imaging and messaging across all of those. Otherwise, you confuse your customers, and they’re not sure if you’re the same company at all those places or not. You guessed it – lost sales. It’s easy, relatively inexpensive to do, and you build so much long-term credibility and sales as a result. Do it – your customers will reward you.